New Delhi, Dec 9: Congress on Friday said US President Donald Trump's recognising Jerusalem as the Israeli capital is "disturbing" and "in conflict with the United Nations' resolutions on Palestine". The party also urged upon all parties concerned to resolve the Palestine issue peacefully and expeditiously in accordance with the 1993 Oslo Accord. "The announcement of US President on Jerusalem has invited criticism and outrage of the international community. It is in conflict with the UN resolutions on Palestine. The development is disturbing," said Anand Sharma, who is Deputy leader of the Congress in the Rajya Sabha. In a statement, Sharma said that the Congress urges all parties concerned to resolve the Palestine issue peacefully and expeditiously in accordance with the 1993 Oslo Accord between Prime Minister Yitzhak Rabin of Israel and PLO Chairman Yasir Arafat. He also said: "It is the duty of all member states of the United Nations to respect the resolutions on Palestine and to ensure that the status quo on Jerusalem is maintained as per the international consensus embodied in the United Nations Security Council Resolution 478 of August 20, 1980. 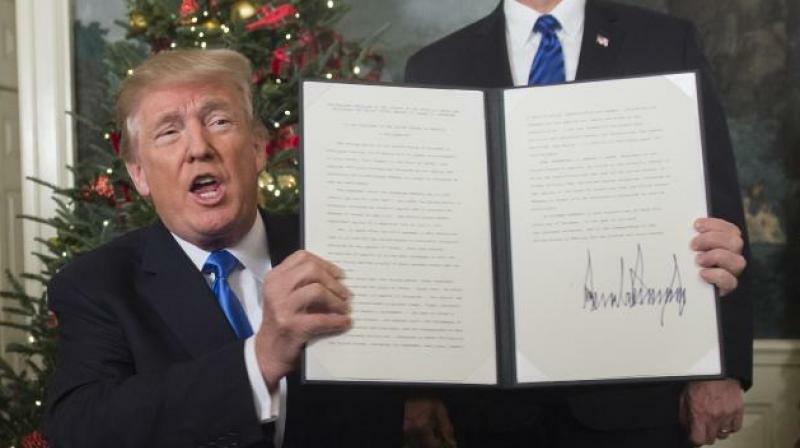 Trump on Wednesday formally recognised Jerusalem as the capital of Israel in the face of international criticism while asserting that he was "not taking a position of any final status" of the ancient city that is also claimed by Palestine.